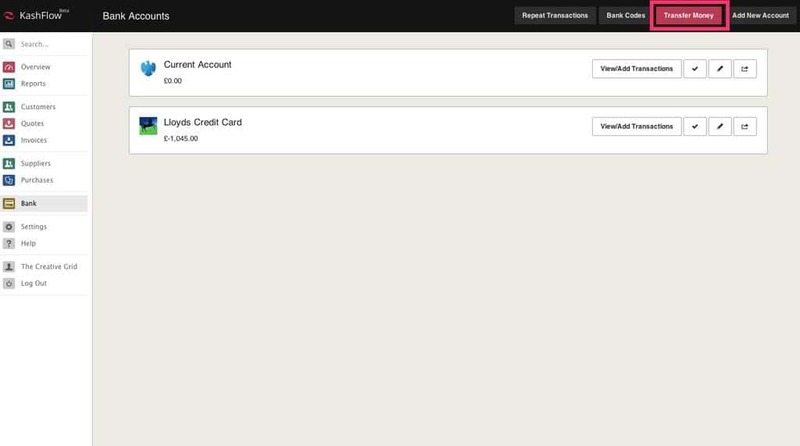 In this article we will explain how to create Bank Transfers in KashFlow. 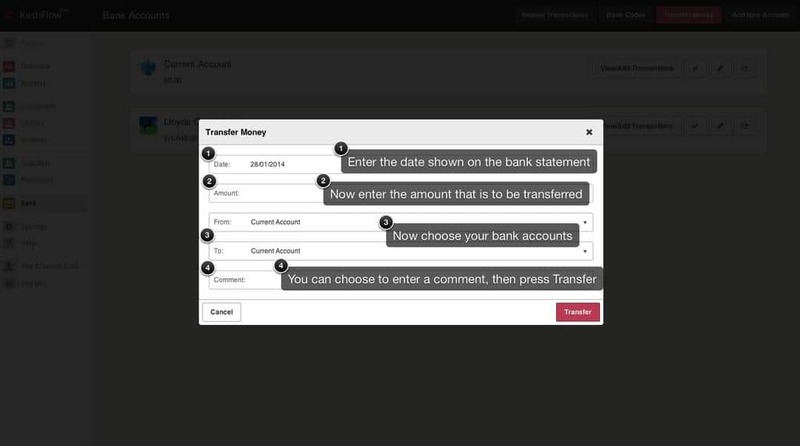 It’s really simple to create a Bank Transfer in KashFlow. You first go to Bank then hit one of the two buttons named Transfer Money. You will then be presented with a pop up where you select the accounts you wish to transfer between. This will then create a bank transaction in both accounts, one for the Money In and another for the Money Out.